PROMISING tall defender Zaine Cordy has re-signed with the Western Bulldogs until the end of 2018. Cordy, the son of 1980s Bulldogs defender Brian and brother of recently delisted ruckman Ayce, was contracted until the end of 2016 but signed a two-year extension on Tuesday. Recruited by the Bulldogs as a father-son selection at No.62 overall in the 2014 NAB AFL Draft, Cordy enjoyed a late taste of AFL football in his debut season, playing the Bulldogs' final two home and away games of 2015. 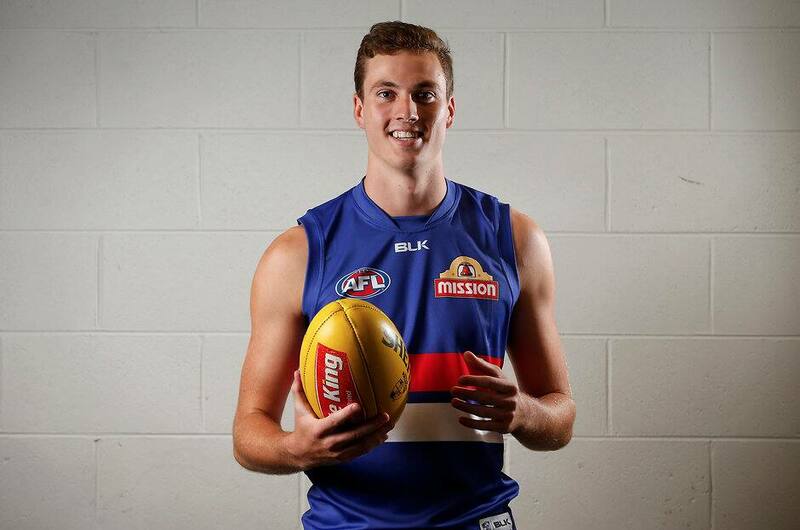 As the 19-year-old looks to build on that platform in 2016, he is striving to follow the example set by veteran Dogs defender Dale Morris. "I'm definitely going to work on my fitness, that's one thing I need to work on, and just executing skills under pressure – it's a high-pressure game," Cordy said. "Probably my biggest influence is Dale Morris, he's the person who took me under his wing when I first came to the club. "Because we play pretty similar roles, he's been a pretty big help to me." Bulldogs list manager Jason McCartney said re-signing Cordy was important for the club and its list demographic. "It's terrific for Zaine to join a long list of players that have recently committed to the club for the longer term," McCartney said. "Zaine has adapted well to the AFL environment and has demonstrated some really encouraging signs as a young tall defender. "We look forward to seeing him continue to flourish under [coach Luke Beveridge's] tutelage and the football program broadly." Cordy is "very excited" by the Bulldogs' on-field potential over the next three years after they vaulted from 14th to eighth in Beveridge's first season as coach last year. "We've got a good bunch of kids coming through, and the way we played last year anything's possible," Cordy says. "So I'm glad I'm on board until 2018." Cordy is one of four father-son players on the Bulldogs' list along with Tom Liberatore (son of Tony), Mitch Wallis (Steve) and Lachie Hunter (Mark). Brian Cordy played 124 games for the Bulldogs from 1981-88, while Ayce Cordy played 27 games from 2011-15 after being taken at pick No.14 in the 2008 national draft.